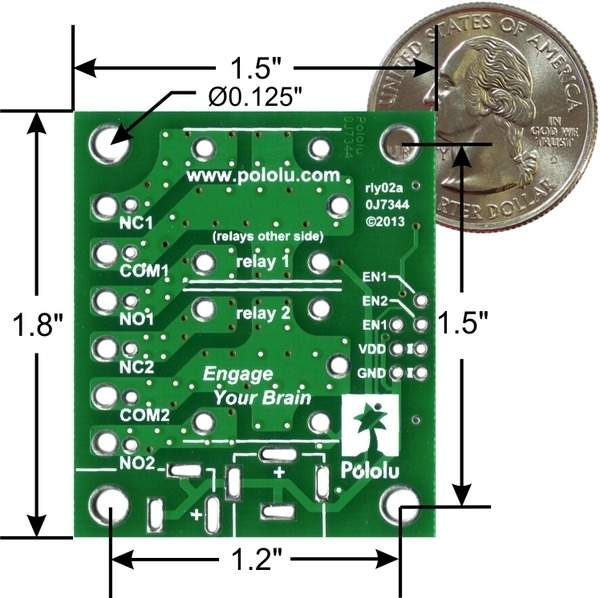 The carrier board routes the relay control pins to 0.1″-spaced pins compatible with standard solderless breadboads and female servo cable connectors. 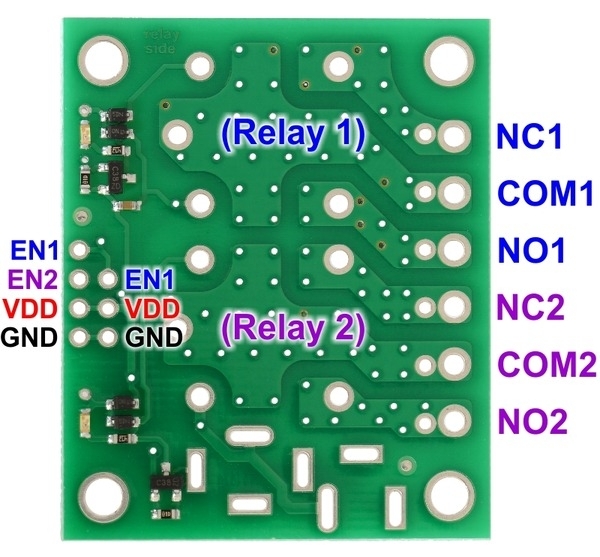 The assembled version of this board has all seven control pins populated with 0.1″ straight male headers while the partial kit version includes 25×1 straight and 15×1 right angle 0.1″ male header strips that can optionally be broken into pieces and soldered in. 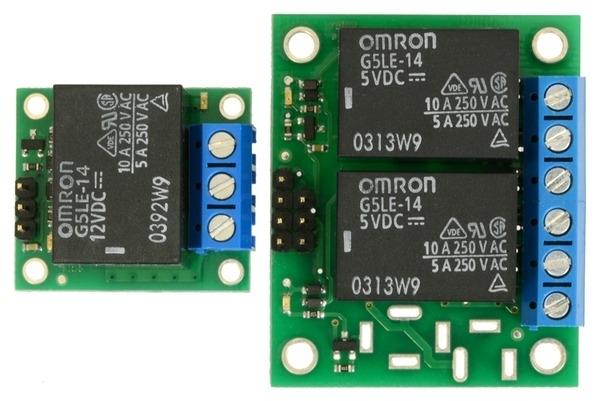 The relay switch pins are routed to a set of large pads intended for use with two 3-pin 5mm-pitch terminal blocks and a set of smaller pads with a 0.2″ pitch, making them compatible with 0.1″ perfboards. The assembled version of this board has the terminal blocks soldered to these pins while the partial kit version includes 6-pin terminal blocks that can be optionally soldered in. 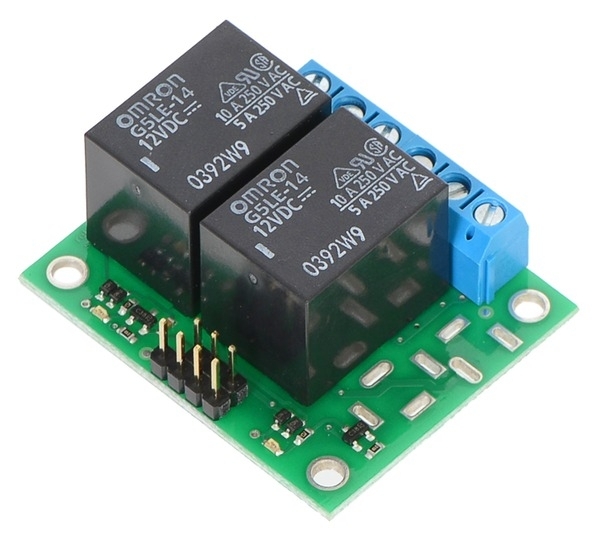 The switch portion of the relays are accessible on one side of the board while the control pins are routed to the other. 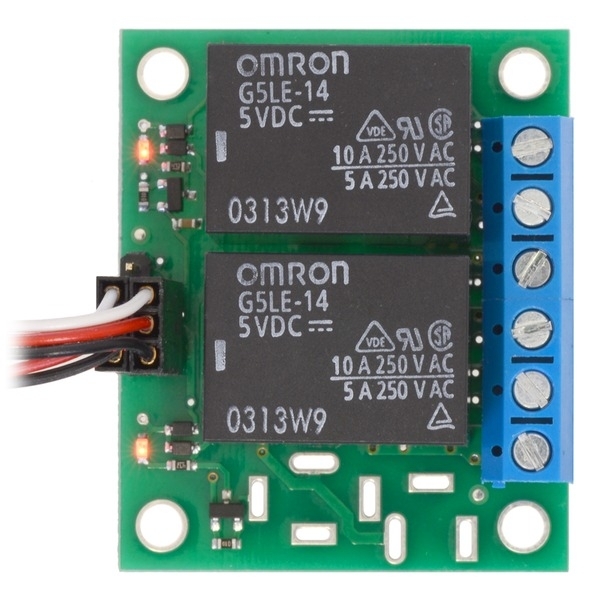 The relay coils are powered by supplying 5 V or 12 V across the VDD and GND pins (depending on the relay), and they are activated by digital high control signals on their respective EN pins. 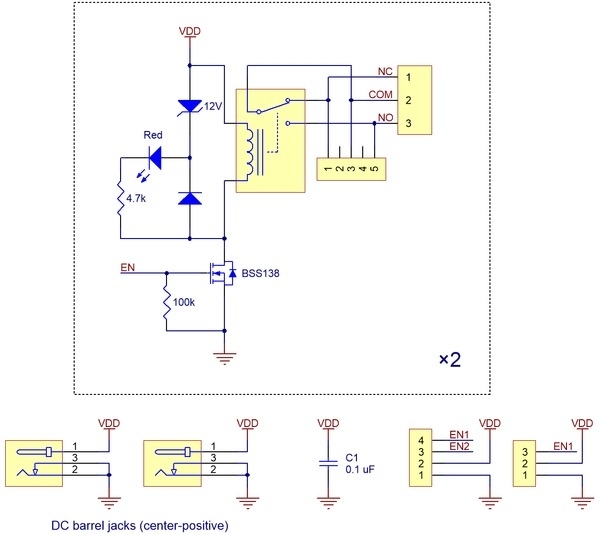 The control signals are fed directly to the BSS138 N-channel MOSFETs, which in turn actuate the relay coils when the signal voltage exceeds approximately 2.5 V (see BSS138 datasheet (92k pdf) for details). 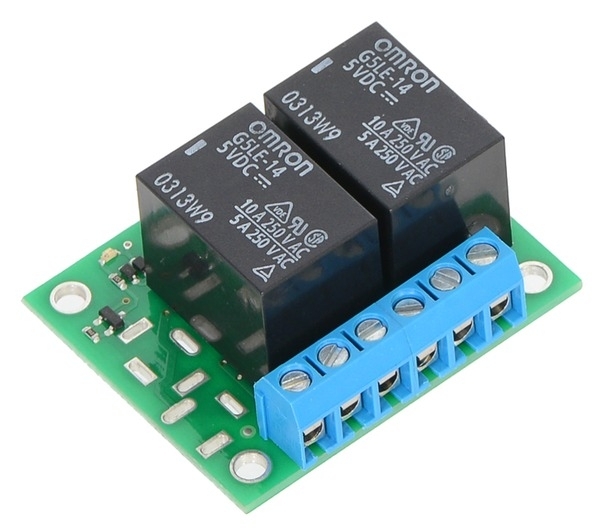 The control pins are arranged to allow for several connection options: a single 1×4 cable can be used to supply coil power and the two control signals, or two 1×3 cables (such as servo cables) can be used side-by-side (one for each relay).